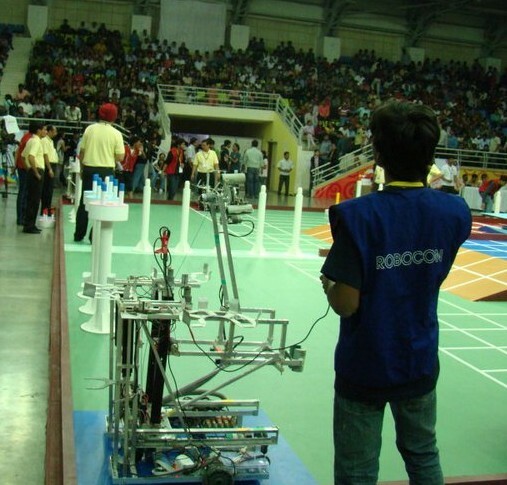 Represented IIT Madras in Robocon Nationals ’11 held in Pune, India, in a team of 20 members, finishing as quarterfinalists in the eent of more than 50 college teams across the country. Developed the control systems and circuitry of the autonomous robots as part of the 10 member Electronics Team. This was a 6 month project undertaken in my sophomore year and was one of the best experiences of my undergrad life. Working in a big team on a half year long project had us learn a lot about functioning well as a team, making hard decisions, and trusting your colleagues.